The Trustees of Children of Peace are pleased to announce the launch of the Razan al-Najjar Nurses Bursary award to fund the training of one female nurse in Gaza every three years. The Bursary honours the memory of a young Gazan paramedic Razan al-Najjar, who died from gunshot wounds – possibly from an Israeli Defence Force sniper – aged 21 on 1st June 2018, whilst tending to injured protesters at the Israel-Gaza border during the ‘Great March of Return’. We launch this Bursary with the full permission of Razan’s bereaved parents Sabreen al-Najjar and Ashraf al-Najjar who will help us to select the best candidates. 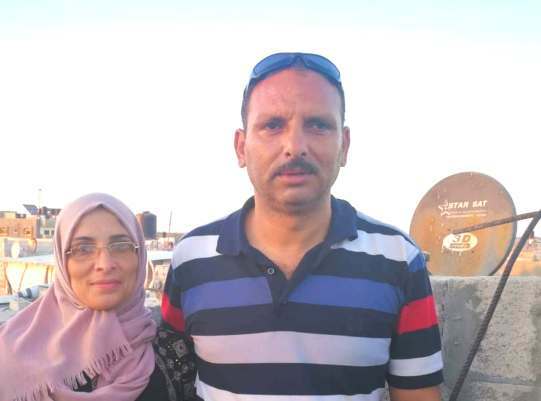 Our partner in Gaza is the Palestinian Nursing Association and our Bursary Team is led by our Gaza Goodwill Ambassador Dalia al Najjar and supported by Dr Richard Sloan MBE. Fun Day Out for Palestinian children. Two new groups joining us. Renowned actress Dame Eileen Atkins DBE and US musician Ben Fisher. On Wednesday 8th August, 24 Palestinian families had a good time. We welcome a new regular correspondent based in Jaffa, Israel. Meet the Sadaka-Reut Arab-Jewish Youth Partnership. Latest news from the region including Trump’s decision to axe funding for coexistence projects. Razan al-Najjar Nurses Bursary award. in Gaza every three years. Nurses and paramedics can often make the ultimate sacrifice in conflict zones. Since 2012, there have been 2,300 incidents of violence or threats of violence towards medical personnel worldwide, reported to the International Federation of the Red Cross. As a parent, it was painful to me, not being financially able to support Razan, to get the degree she dreamed of. She struggled a lot chasing her dream, making all of us proud. I wish we could have been able to make it easier for her. I am hoping that Razan al-Najjar Bursary will help to remove the financial obstacles many students face as poverty is aggravating more and more in Gaza. My daughter Razan had just started her nursing degree and I worried a lot about our capabilities to support her with our very limited income. It kept me up at night. I hope that this Bursary will put a lot of hearts and minds at ease. She was an angel of mercy that everyone admired. She was a role model with great values. We believe that humanitarian work doesn’t have a limit. And we support education and nursing and are proud of this Bursary and grateful to everyone who is working on it and supporting it. OUR REGULAR CONTRIBUTOR DALIA AL-NAJJAR REMEMBERS HER COUSIN. Women are the key to a prosperous future in the Middle East and if a change is to come in the MENA – women will lead that change. This is something Children of Peace and I truly believe in. Meeting strong, empowered women around the world is hopeful and is always promising. However, losing one is sad and discouraging. Losing Razan was and is very traumatic for the family. Razan was not just a loving daughter, a sister and a friend; she was a source of hope and support for the people around her. Since the start of the Great March of Return protests on May 15, 2018, Razan spent weeks treating wounded protesters. On the 10th week, she was again in the field, doing the thing that she always loved to do; tending to people’s pain. In one of her interviews, she said: “With all pride, I want to continue helping others until the last day.” She kept her promise. The Great March of Return is a weekly protest at the Israeli-Gaza border to express frustration and opposition of the occupation practices in Palestine. It is also a demand for the refugees to return to their homes. The protests are fuelled not only by anger and frustration but also by hope and desire to live a dignified life. Razan stood for female empowerment, education, peace, freedom and an end to the occupation. She was the first female paramedic to rush to volunteer at the Great March of Return. People reacted by saying that she should be at home. That did not stop her. She kept on giving and giving. She was returning home with an injury every week. Following her initiative, many female first responders joined in. Razan was a controversial topic that everyone discussed in Gaza. Between love and hate, she continued to be a strong giving woman. In our society, women are often judged. But society has to accept us. If they don’t accept us by choice, they will be forced to accept us. 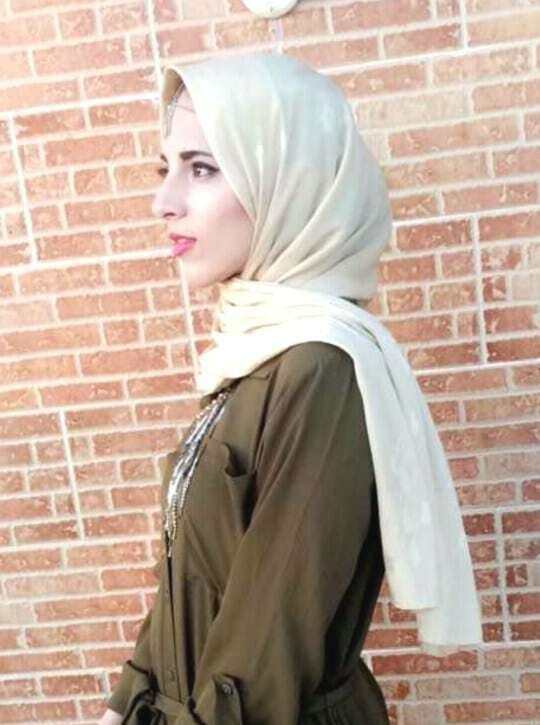 Since she was young, Razan always knew that she wanted to be a nurse. Unfortunately, she had to drop out of university due to harsh financial circumstances. Nevertheless, that did not stop her from pursuing her dream. She joined an extensive training program and volunteered, without getting paid, in a hospital for two years. The courage Razan showed at the protests inspired not only other women but also men. One week, Razan broke her wrist yet she still completed her shift of ten hours to be an example of dedication. Razan loved life so much and this is why she wanted to be a nurse. That is why she volunteered at the protests. This is why she sold her personal belongings to buy bandages and equipment to use at the protests. She wanted everyone to live a dignified life. The story of Razan is a story of a real-life super heroine, a story worth telling. The story of a girl who challenged society, the occupation and the siege. A story of a girl who chased her dreams despite everything. She broke the chains that were limiting her powers with her determination. Girls around the world need to hear about Razan – a role model who was selfless in every way. September 11 marked the birthday of Razan, the family had a tour in Gaza to spread Razan’s values and messages. Her mother, Sabreen, goes to the protests to give help and to be a moral support for the paramedics who see her as a strong social leader who is suppressing her pain to support the people who need it. I have been asking Razan when I see her coming back from the protests drenched in blood and with an injury in her wrist or leg. I asked her why and she would smile and tell a story about the people she saved or cry about the people she could not save. When I volunteered, even though I did not do much but I understood why. I understood how rewarding it is to save someone’s life. It’s worth putting your life at the line. To honour the memory and legacy of Razan, and to celebrate the values she lived by, the family is supporting the Razan al-Najjar Bursary, which is set out to support, empower and inspire female nursing students. Your support and love is always needed to enable us to take the impact further and to make it more sustainable – Dalia. The Patrons and Trustees of Children of Peace are delighted to welcome two new Friends of our charity, renowned actress Dame Eileen Atkins DBE and US musician Ben Fisher. Dame Eileen is an English actress and occasional screenwriter. She has worked in the theatre, film, and television consistently since 1953. She has played many notable parts in the theatre, most recently in her one-woman show ELLEN TERRY, which she wrote, at the Sam Wanamaker Playhouse. She has performed many times on Broadway, her greatest success being the adaptation of Virginia Woolf’s A ROOM OF ONE’S OWN. 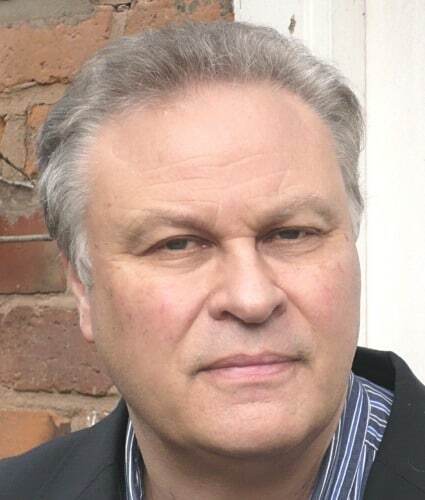 Television roles include CRANFORD for which she received a Golden Globe and a BAFTA. She co-created the series UPSTAIRS DOWNSTAIRS with Jean Marsh. She has recently played Queen Mary in the first series of THE CROWN. Some of her many films include EQUUS, THE DRESSER and GOSFORD PARK. She adapted Virginia Woolf’s MRS DALLOWAY for the screen. She has an honorary degree from the City of London University. I am delighted to become a Friend of Children of Peace. They do vital work in helping the children of Israel and Palestine to come together in peace and in shared activities. Ben Fisher is a singer-songwriter from Seattle, Washington. His most recent release is the 17-track Damien Jurado-produced Does the Land Remember Me? Every year Children of Peace supports Israeli organisation Humans Without Borders who organise a day by the sea in Tel Aviv for sick and disadvantaged Palestinian children and their families. This year due to restrictions the event was held in Beit Sachur in the West Bank. On 8 August 2018, Humans without Borders hosted 24 families of Palestinian children whom our volunteers assist on a day-to-day basis. Initially we had planned on continuing a tradition of annual trips to the seashore but, unfortunately, the military authorities demanded that we comply with untenable conditions in order to receive permits for the families. The decision was thus taken to move the event to a location within Palestine where permissions from the military would not be required. The Murad Resort in the town of Beit Sachur was selected. It is a lovely location with several swimming pools, playgrounds and an excellent dining room and, most important, reachable from both the north and the south without having to enter Israel. By 9:30, three buses and several private vehicles brought more than 70 excited kids tumbling into the swimming area. Our volunteers had already set up tables with cold drinks, fresh fruit, just-picked strawberries donated by kibbutz Ramat Rachel, and cakes which were all dealt with in short order. One of the fathers told me that not only did they have to get up at 5:00 in the morning to reach the meeting point in Ramallah on time, the children woke them a half dozen times to ask it was not yet time to leave. Not very much sleep that night. Excitement was ubiquitous and totally contagious. We ensured that every kid had a swimming ring both for fun and to ensure some peace of mind. Water cannon fights had them screaming with pleasure. And there was complete joy at seeing our volunteers, with absolute abandon, chasing the kids through the shallow end of the pool, splashing each other and laughing like a bunch of delinquents. It took a major effort to get them out of the pool and showered and dressed for lunch. Lila, the manager of Murad, went out of her way to provide a huge and wholesome meal. We then surprised everyone with a deliriously funny performance by the clowns Azzat and Duad who romped with the children for almost two hours. In the middle of everything, one of our volunteers Waal, appeared with 150 ice cream bars. The clowns, of course, took upon themselves the job of handing out the ice cream – with hilarious manipulations. In Humans without Borders we treasure the bonds created between Israeli volunteers and their families and the Palestinian children and their families. Such connections are well beyond the scope of providing technical assistance. Lasting friendships stand firm against the terrible strains of the occupation. On Wednesday, people were able, for a few hours, to forget their terribly difficult lives – contending with life-threatening situations – and forget the occupation, the conflict in Gaza, and celebrate amazing relationships. Sarama, mother of M, age 5, who has suffered from major neurological issues since birth (Arabic). Children of Peace welcomes two new groups as affiliate members of our Coalition of Peace – now the single, largest peace network across the MENA. A New Way was founded in 1998, initially focusing its programming on Arab and Jewish school students’ encounters, using innovative methods such as theatre, music, visual arts, outdoor training and joint volunteering. Based on our success, we have broadened our target audiences to include the educational teams in schools, parents, women’s leadership groups, youth councils, mayors and other local leaders and officials. A New Way’s Shared Citizenship program pairs Arab and Jewish schools in a year-long joint intensive, meaningful and experiential program. Our activities foster dialogue and our encounter sessions utilize a broad array of joint activities both within and outside the classroom. Joint studies in high schools, focusing on relevant issues such as: equality, minority/majority relations, and separation of powers. Using political caricatures to identify stereotypes and prejudices. And other topics required by the Ministry of Education. We will study current and new methods and tools to deliver civic studies; research methodologies has utilised jointly by Jewish and Arab students and all will take an identical matriculation exam. The pilot has been implemented in two high schools of Tel Aviv and Tayba. Solutions Not Sides (SNS) is the flagship education programme of OneVoice Europe, a small non-governmental organisation based in London. Since its establishment in 2010, Solutions Not Sides’ reach has expanded to multiple educational, religious, and community institutions, engaging with thousands of young people, and building support from numerous organizations both in the UK and abroad. The programme has been formulated with the input of both Israelis and Palestinians, as well as senior members of Jewish, Muslim and Christian communities in the UK and is designed to prepare young people to make a positive, solutions -focused contribution to debates on Israel-Palestine. The goal of the SNS sessions is to provide young people with the chance to encounter and understand dual narratives through meeting young Israeli and Palestinian activists. SNS promotes a solution-based approach to conflict resolution dialogue, while engaging with historical, political, and religious narratives. In addition to its core work in secondary schools, each summer, SNS facilitates a weeklong Student Leadership Programme in London, enabling young people to listen to and participate in dialogue with activists, academics, politicians and others on the Israel-Palestine conflict. Participants are given the opportunity to find their own solutions to the conflict, while developing their negotiation, leadership and public speaking skills. We’ve worked with more than 26,000 people to date, including 21,000 secondary school-age students. This coming year, SNS has already planned 15 tours around the UK, inviting young Israeli and Palestinian activists to join them in the promotion of peaceful, unbiased, and non-partisan dialogue on conflict resolution. Children of Peace (CoP) as the largest umbrella organization for peace organisations working in Israel-Palestine, is perfectly placed to support us in this mission. By connecting with CoP we will tap into an even wider network of youth activists and broaden the range of voices we bring into classrooms in the UK. We hope that, as more Israelis and Palestinians connect with international change makers and with one another, a network that crosses boundaries will develop and enable young people everywhere to enact positive change. Children of Peace welcomes Jess Manville – a new regular contributor to join our team. 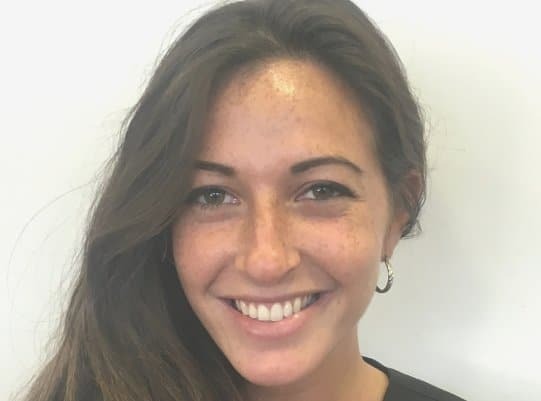 Jess is a UK-born journalist at i24NEWS – the international news channel based in Jaffa, Israel. 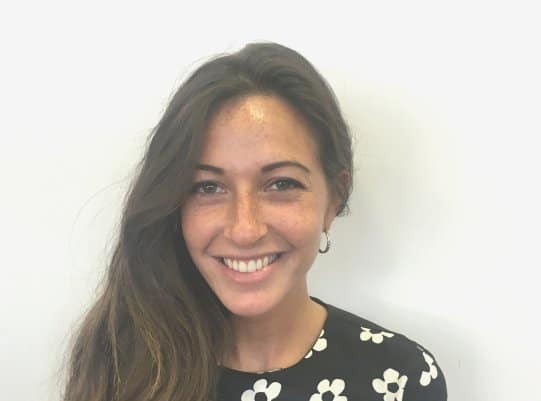 Jess has focused her work on covering the situation of African-asylum seekers in Israel. As a former adviser to a British Member of Parliament, she worked in post-conflict renewal efforts in Northern Ireland. She has a BA in History from the London School of Economics and an MA in Conflict Resolution from Tel Aviv University. Jess will send her first report from Israel in our next web update. Each year, Children of Peace provides grants each March, to affiliates that have successfully applied for funding, having met our requirements. Only NGOs and CBOs that meet our criteria and have been part of our Coalition of Peace for at least two years can apply. For further details see our… funding guidelines. One such successful applicant is the Sadaka-Reut Arab-Jewish Youth Partnership, winning a Children of Peace Grant in 2017-18 to help towards the Building a Culture of Peace project, in which youth aged 14-17 are encouraged to critically examine reality, identify injustices and initiate efforts to create social and political change. During the September 2017 – February 2018 period, 216 Palestinian and Jewish, female and male youth took part of the Building a Culture of Peace project (long and short term components). The last months of the past activity year were difficult for many groups within Jewish and Palestinian societies in Israel, and existing tensions did not stop Sadaka-Reut’s activities. Our staff and participants alike have had to confront personal fears and biases, challenging their and others’ perspectives along the way in order to hold productive conversations that lead to meaningful action. We saw an example of this process taking place in May. During a series of workshops we offer about racism and social struggles at a school in Modi’in, students learned about the situation in Gaza and the people protesting against it, and as a result were inspired to send back a message of hope, to advance peace in the face of separation. Led by their talented facilitator Yuval, the youth wrote letters expressing their wish to open a direct communication channel between teenagers in Israel and Gaza and filmed themselves reading the letters in order to spread the message further. 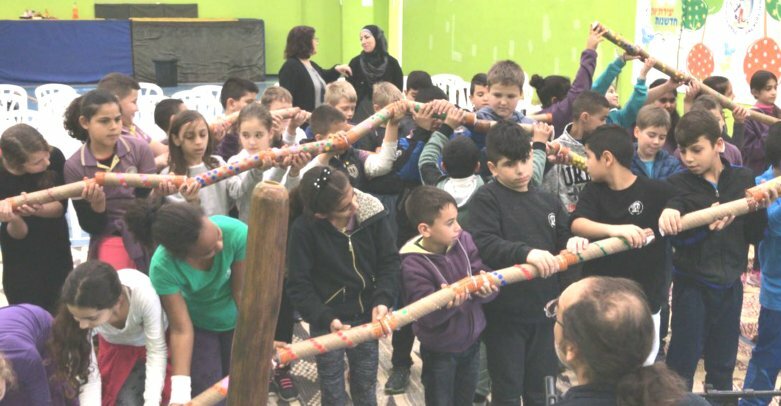 Last June, our Palestinian and Jewish youth groups from Qalansawe, Taybe, Bat Yam, Holon and Ramle closed the 2017-2018 activity year in a joined Movement Day that drew inspiration from social struggles for justice and equality. This was a fitting end for a productive year, during which each of the groups advanced its understanding of different issues facing their communities and took small steps towards social change. For those who understand some Hebrew and/or Arabic, we invite you to check out for yourselves the videos made by our groups in Holon (about fear, prejudice and power dynamics) and Qalansawe (about gun violence in Palestinian society). And for those who don’t, you’ll just have to trust us – our participants this year have a lot to be proud of! Although some of the aid programmes geared towards helping Palestinians might be seen as controversial, President Trump’s administration doesn’t even want to support those which actively foster peace and coexistence. Currently the US provides $10 million to support such projects but now wishes to cut all its funding for these programmes. I am appalled at the Trump administration’s decision to axe funding for coexistence projects. 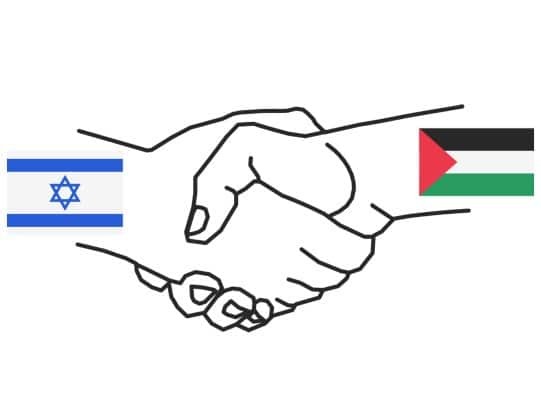 This mean-spirited and counterproductive step will hamper vital work to build bridges between Palestinians and Israelis and thus provide a platform for a future peace agreement. This White House has failed at diplomacy. This is not a partisan view. It’s the view of those who recognise that you don’t advance the cause of peace by cutting off programs that are designed to promote tolerance, understanding and address shared problems. Typically these programmes result in a strong increase of trust and understanding from participants on both sides of the conflict. You can read more at the NY Times. Palestinians have been celebrating Oktoberfest in Taybeh, a Christian village in the West Bank. Brewer Canaan Khoury likes to add local herbs such sumac and wild zaatar to his Palestinian beers. The brewery he runs with his brother Nadim and daughter Madees was established in 1994. Although the occupation disrupts their business at times, they are still able to export their beers to many countries around the world. The history of brewing in the region goes back a long way. A recent study by academics at Stanford University has been investigating ancient mortars discovered in the mountains near Haifa in Israel. There were used by the Natufians, a semi-nomadic people, and are thought to be 13,000 years old. It is speculated that here and elsewhere the drive to domesticate cereals sprang from a thirst for beer rather than a taste for bread. However archaeologists believe that this ‘beer’ would have been more like a thin mash or gruel than today’s clearer brews. China Miéville’s novel The City and The City tells of two fictional European states which occupy much the same space but are yet totally separate. The inhabitants of both cities are trained to ‘unsee’ any glimpses of the other. There is perhaps some affinity between this science fictional world and the situation in Israel/Palestine. Some Jews and Palestinians in Israel never visit a house from the other community, even though they live and work side by side. Now a provocative new exhibition in the Israel Museum in Jerusalem, designed by Daniel Landau, illustrates and challenges this separation. A room has been divided into two, with one half showing us a typical Palestinian living room, the other a Jewish home. Visitors can also use virtual reality glasses to see each home in full and ‘meet’ their inhabitants. Some Mizrahi Jews (those with backgrounds in other Middle Eastern countries such as Iraq or Yemen) have found the exhibition particularly powerful and poignant. In a recent report the Institute for Monitoring Peace and Cultural Tolerance in School Education (IMPACT-se) finds that new textbooks produced by the Palestinian Authority are promoting violent responses to Israeli occupation. In Islamic education children are taught that the Jews tried to kill the Prophet Muhammad, and poems set for study glorify martyrdom. Even in subjects which might be thought ideologically neutral, this indoctrination is clearly apparent. In mathematics, fourth graders are taught to add using the number of Palestinian “martyrs” in two violent intifadas against Israel. In ninth grade, children are taught to use frequency tables with the number of “martyrs” killed by Israel in Jerusalem over the course of the years. The report’s authors hope that their findings will encourage EU donors to put pressure on the Palestinians to remove this incitement from the curriculum.